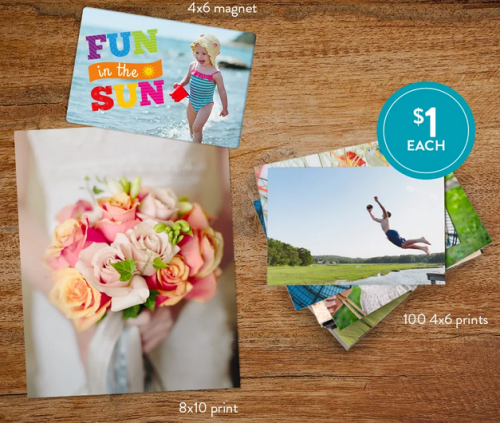 Snapfish is having a $1 Sale right now, which includes 100-4×6 Prints, a 4×6 Magnet or an 8×10 print. Shipping is not included, but for 100 prints its about $6 for my region. You can only apply one promotion per order. The offer ends 9/20. Click here to order your Snapfish $1 Sale items.